Home » Uncategorized » TBT: Who Burned Like Icarus? Zoé or Bastille? TBT: Who Burned Like Icarus? Zoé or Bastille? Which one burned the craziest? 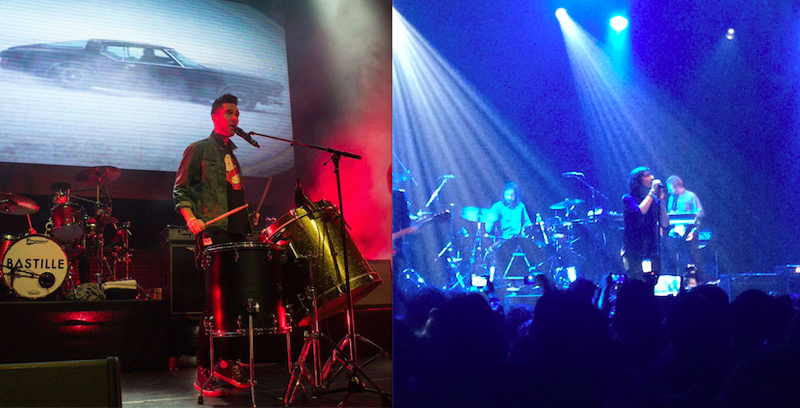 Photo: Bastille Facebook (left). Right one belongs to us! Lao Tzu said, “The flame that burns twice as bright burns half as long” and seems like Zoé and Bastille came up with completely different Icarus-inspired tracks that are still bright in our minds. Zoé’s “Nunca” (“Never”) and Bastille’s “Icarus” chant distinct reasons why you would fly towards sun, the former for nonconformity while the latter for self-saboteur. Honestly, we are fine being 92.96 million miles away from the sun. Especially after getting roasted from 100°F (38°C) weather this summer, the closest we’ll get to flying to the sun will be vicariously via Zoé’s “Nunca” (“Never”) and Bastille’s “Icarus”…or Southwest Airlines. We’ll never ever take Spirit again, with those claustrofucking seats that have holes in the bottom. Never. “Nunca” is from Zoé’s 2006 album, Memo Rex Commander. Lyrically, it’s an analogy to the legend with modern and cosmic psychedelia twist where the group expresses reluctance to follow the normal path and wants to take the road less taken. We get it, who wants to settle for 9-5 job if you can form a band that becomes one of the top in Spanish alternative genre? “Icarus” is from Bastille’s 2013 album, Bad Blood. Bastille’s song figuratively outlines that whoever is Icarus in this case, is a self-saboteur who burns him/herself by indulging in – what seems like – excess. So all you hot Cheetos eaters, you brought it on yourselves!